I always thought you’d need more than 2 hands for more than 4-strand braiding. But I’ve seen so many pictures of 5, 6, 7 and more strands in a that I started to think it must be possible. So I started to practise. Now I can do up to 6 strands french braid, dutch braid and lace braid. 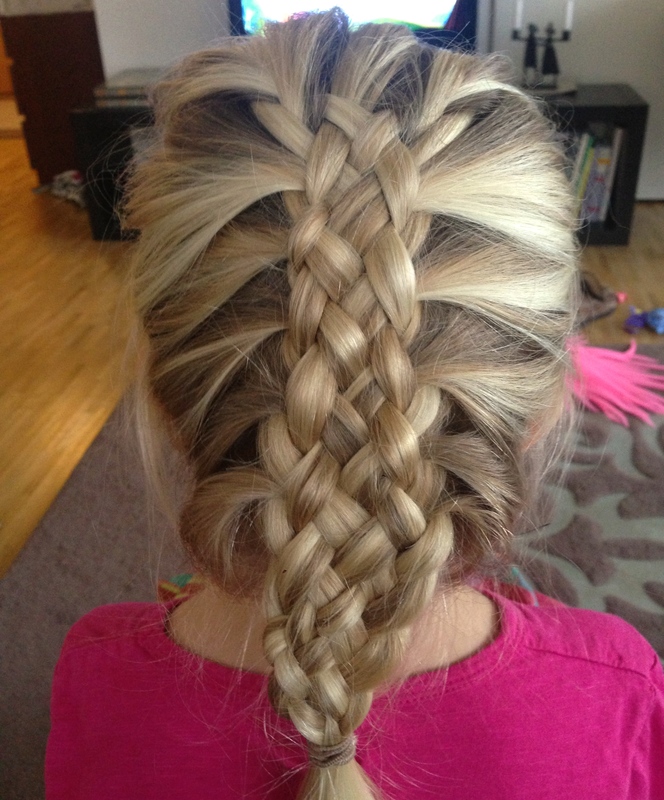 These are two 4-strand braids finishing in a ”cheat’s 9-strand braid”. 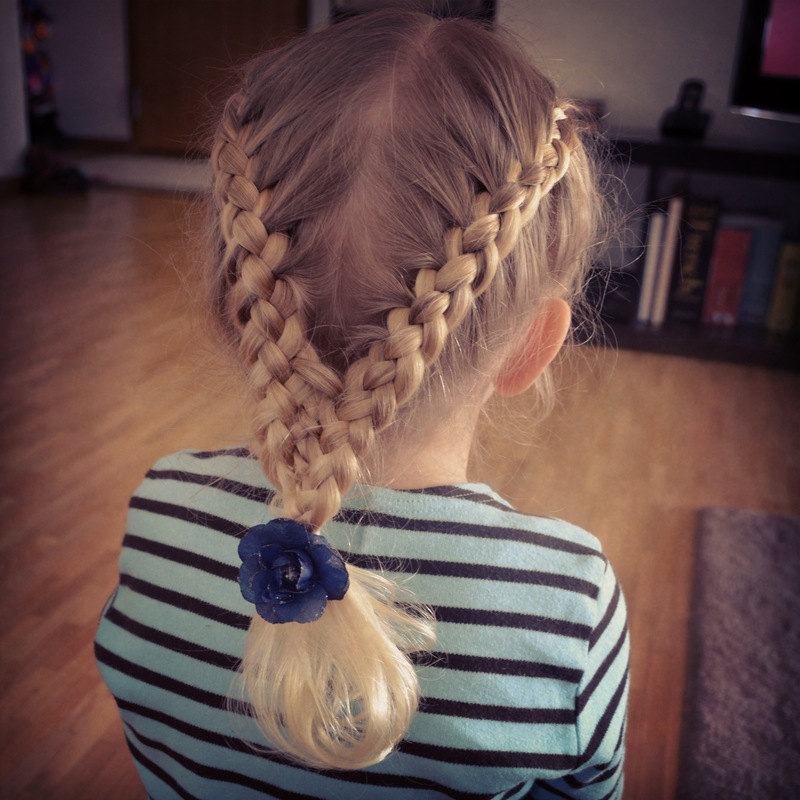 That means I left a thin strand of hair out in the nape of her neck, then looped that through the two 4 strand braids, combining them into a 4+1+4= 9-strand braid. The next one is a 5-strand ”mermaid” braid. 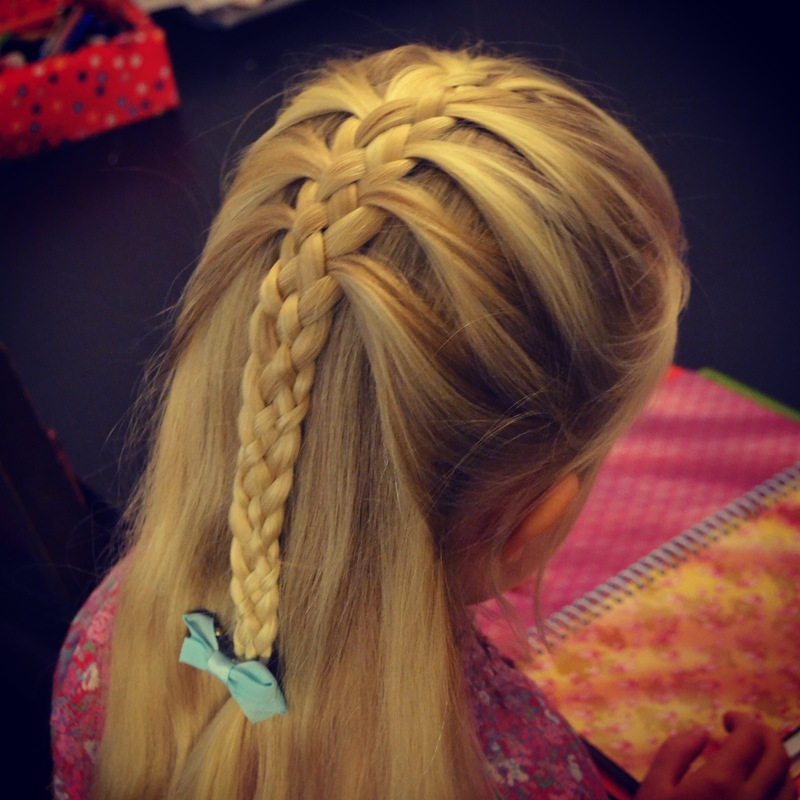 I’ve promised to make a tutorial for this one, but at the moment we are so busy with an upcoming house move, that I barely have time for photos, never mind videos (but I’ll always have time for braiding). Finally, my first (and so far only) attempt at a 7-strand french braid. Very messy and uneven, and still my fingers were nearly on a knot after this, so I just have to carry on practising!